Not for sale in Qld due to weed potential. The curry leaf tree provides a wonderfully fragrant edible addition to curries, soups, dhal and chutney. It is also a fast growing hardy and beautiful hedge, screen or pot plant, with fragrant flowers and leaves. An attractive upright branching tree growing to 6m tall in warmer climates, but best kept pruned to less than 2m tall, and we recommend keeping in pots (especially in northern NSW). The plants we sell are seedling grown, producing a plant that suckers less vigorously than a suckerling-grown plant. Previously known as Murraya koenigii, it�s had a recent name change to Bergera koenigii. Many southern Indian and Sri Lankan dishes use curry leaf to add a spicy taste that isn�t hot. Strip the leaflets off the central stalk and then tear or crush them between your fingers just before frying as this releases more flavour. When making a curry, they�re usually fried in ghee with the onions but you can also add them to scrambled eggs, rice dishes, vinegars and salad oils. Saut� curry leaf with mustard seed and add to dhal or vegetable dishes. 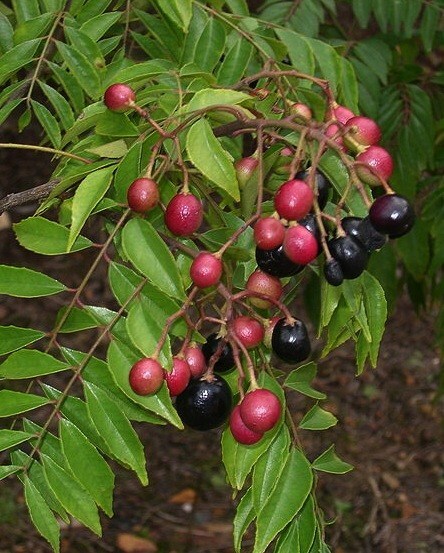 But note, that although the flesh of the berry is edible, the seeds are poisonous. Curry leaf tree grows well in tropical right through to Mediterranean and temperate climates. Can handle light frost. The best growing conditions for curry leaf tree are in full sun to part shade and it�s not at all fussy about soil type or even too particular about drainage.